Enjoy a delicious Falafel meal or sandwich any time of day with our organic baked Falafel patty – great in a salad or pita! 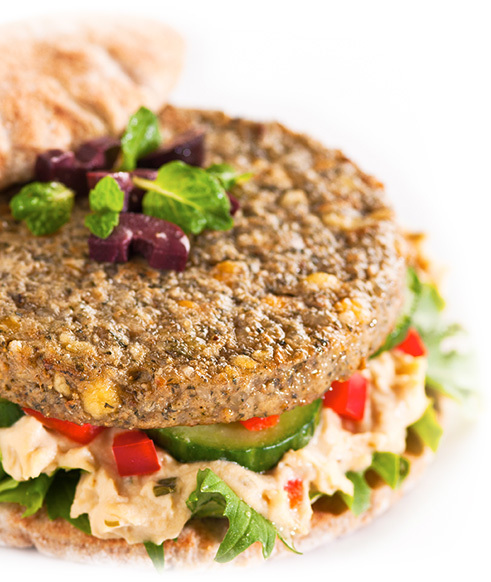 Enjoy a delicious Falafel meal or sandwich any time of day with our organic Falafel patty — great in a salad or pita! Low in sodium, this veggie burger is a good source of plant-based fiber and protein. 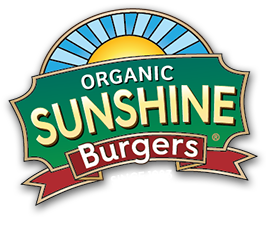 Our Falafel Sunshine Burgers are also a good source of vitamin A, vitamin E, magnesium, iron and omega-3 essential fatty acids. 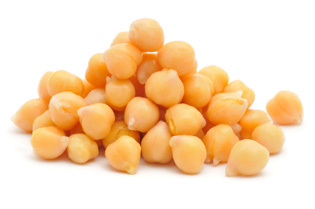 Organic cooked brown rice, organic cooked chick peas, organic ground raw sunflower seeds, organic cooked yellow split peas, organic Tahini (organic ground toasted sesame seeds), organic cumin, organic garlic, organic parsley, sea salt.